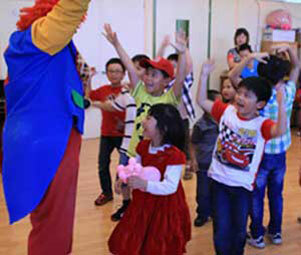 "THANK YOUUUUUUUUU so much for a great Job last Saturday night – our kids were thrilled. Your artists did an amazing job, they were on time, helpful, smiling, simply amazing!!!" "We appreciated how popular your face-painters were." 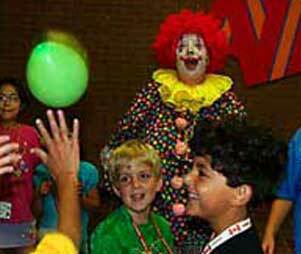 Are you expecting hundreds, or even thousands, of children at your event? 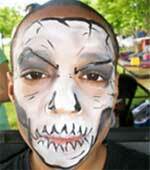 Then you need a team of super-talented, super-friendly, super-professional face-painters. The painters on Rosie's team are amazing. They arrive at your event in good time, set up swiftly, work efficiently, do fabulous designs and are great with kids. If this sounds like what you need, please call me at 416-477-2209. 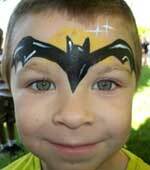 We paint with only the highest-quality, hypo-allergenic face paints. The glitter that highlights our designs is super-safe polyester glitter, not the tin flakes you may find elsewhere. Your children are worth it! 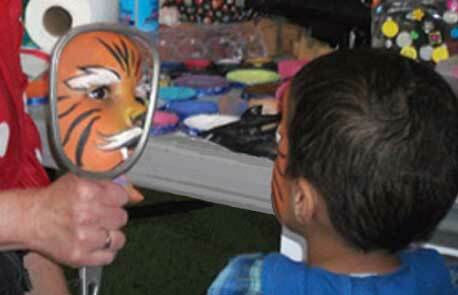 Rosie's team of professional face-painters work at top speed. 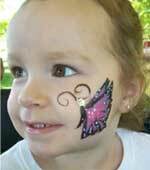 Tattoo-size desgins take only two minutes per child, and full faces take only five minutes each. We provide quality work, done quickly. 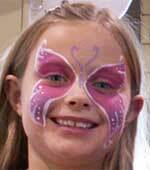 As well as being up to speed with all of the standard, popular designs, our face-painting artists can draw whatever your child desires. Glitter Art is also available. We're so confident that you'll be happy with our work that we offer a money-back Happiness Guarantee. 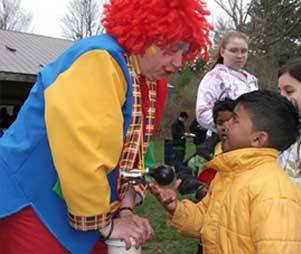 "Many thanks to you and your staff for attending our community/school BBQ event last night. 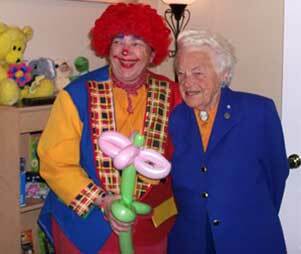 You and your staff were wonderful and we received so many compliments on the clown outfits and how creative and fun each member was!!"